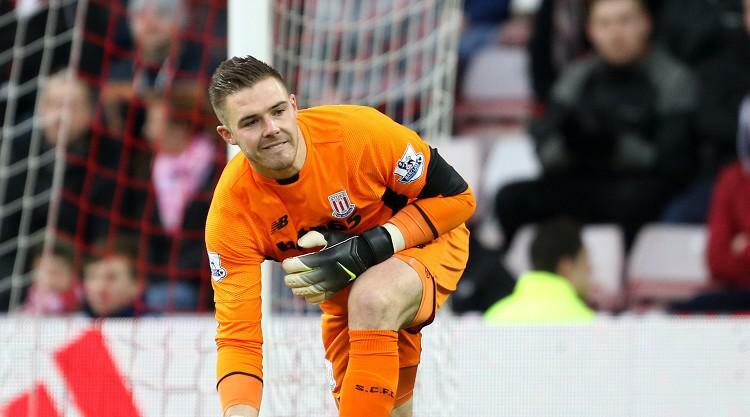 Stoke goalkeeper Jack Butland feels it is "easy to point the finger" during the club's current difficulties and has stressed the need for unity. There were calls from Stoke fans for boss Mark Hughes to be sacked at the end of the 1-0 home loss to Newcastle on New Year's Day, a fifth defeat in seven games that left the Potters 16th in the Premier League, two points above the relegation zone. As the final whistle sounded, boos and cries of 'Hughes out' could be heard from Stoke supporters, while some signs and a banner displayed the same message. Butland subsequently tweeted: "(At) times like these it's easy to point the finger but we need to stick together, that's what the club and the city is about! "So let's get on with it and just keep pushing and make sure we do all we can to get ourselves back up the table! @stokecity"
That came after Stoke midfielder Charlie Adam expressed his disappointment at the anti-Hughes sentiment from the fans and hopes that the Welshman remains in charge. Hughes, who has emphasised he believes there is no better candidate than him for managing Stoke, saw his selection gamble over the last few days fail to pay off. He had rested key players for Saturday's 5-0 loss at Chelsea in a bid to make his side as strong as possible for the Newcastle game, only to then see the Staffordshire outfit, having had six changes made to the starting XI, condemned to another defeat by Ayoze Perez's 73rd-minute goal. Perez fired past Butland as he connected with a fine Jacob Murphy cross. Winger Murphy, who joined Newcastle from Norwich over the summer, told www.nufc.co.uk: "It was the perfect way to start the year. "I'm over the moon to start 2018 with my first Premier League assist for Newcastle - I couldn't think of a better way to do it. "This is just the start. I can't get too ahead of myself after just setting up one goal, but I'll keep working hard and pushing forward to create more chances for the boys. "I'm a lot more relaxed going into games now, I'm feeling less pressure, and I can go out there and play my own game. "I'm a confidence player, and you need that confidence to go into games and do what you want to do." Newcastle's victory, which made it seven points earned from the last four games, saw them go four points clear of the relegation zone as they moved up from 16th to 13th.